Product Overview The TVS-1282T features advanced hardware by adopting 6th Generation Intel® 14nm multi-core processors and was designed around the concept of tiered storage, application-based partitioning and network traffic distribution. Providing a Thunderbolt DAS/NAS/iSCSI SAN triple solution, the TVS-1282T delivers the incredible power of Thunderbolt™ 2 to double the speed potential to 20 Gbps, supports smooth 4K 60 fps video transfer and display, and is a perfect match for Thunderbolt-equipped Mac* users for 4K workflows, file storage and high-speed sharing. Incorporating reliability, security and rich applications, the TVS-1282T delivers the highest transfer rates ever as storage with persistent throughput, and provides a complete business-ready storage solution. With four 1 Gigabit Ethernet ports and two 10 Gigabit Ethernet ports, the TVS-1282T allows applications to use dedicated interfaces to meet network traffic distribution requirements. Network interfaces can also be easily managed with the Network & Virtual Switch app, which enables optimized network resources for TVS-1282T, virtual machines and containerized apps. No matter if they are business organizations or individual users, they can effortlessly manage network connections by using the Network & Virtual Switch. Features Note: Two PCle slots are occupied by a Thunderbolt™ 2 card and a 10GbE adapter. • Built-in M.2 SATA 6Gb/s slots & 2.5” SSD slots. • Qtier technology and SSD cache enable 24/7 optimized storage efficiency. • The Network & Virtual Switch app assists network traffic distribution, and re-routes dedicated bandwidth for diverse applications. • Triple HDMI output (including one HDMI 2.0) for smooth 4K video playback. • Thunderbolt™ 2 (20Gbps) and 10GbE dual network for on-the-fly video editing and speedy sharing. • 4 available combinations with Mac/PC and JBOD for flexible attaching, sharing and expansion. • Scalable up to 448 TB with the Thunderbolt™ 2 storage expansion enclosures TX-800P/ TX-500P. 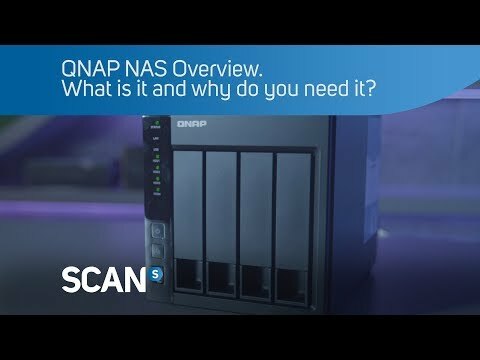 • Virtual JBOD (VJBOD) allows to use QNAP NAS to expand the TVS-1282T’s storage capacity.